Items may be copied from one folder to another within the same project. Items may not be copied between projects because of security constraints. 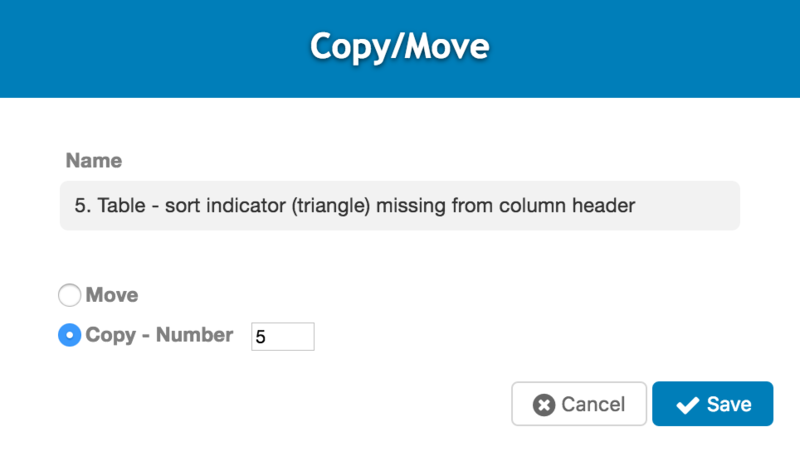 To copy an item, simply drag an drop it from the Content Pane to the appropriate folder in the Navigation Pane. To copy a group of items, select the checkbox for each item, then drag them to the destination folder in the Navigation Pane. You may make as many copy of items as you require.